ITV has suffered serious issues with the first Britain's Got Talent live semi-final tonight (Mau 28). Just after the first performers completed their act, and the judges were about to pass comment, the show was taken off air. A test card appeared on screen, with a voice-over announcer telling viewers that ITV are currently dealing with technical errors. 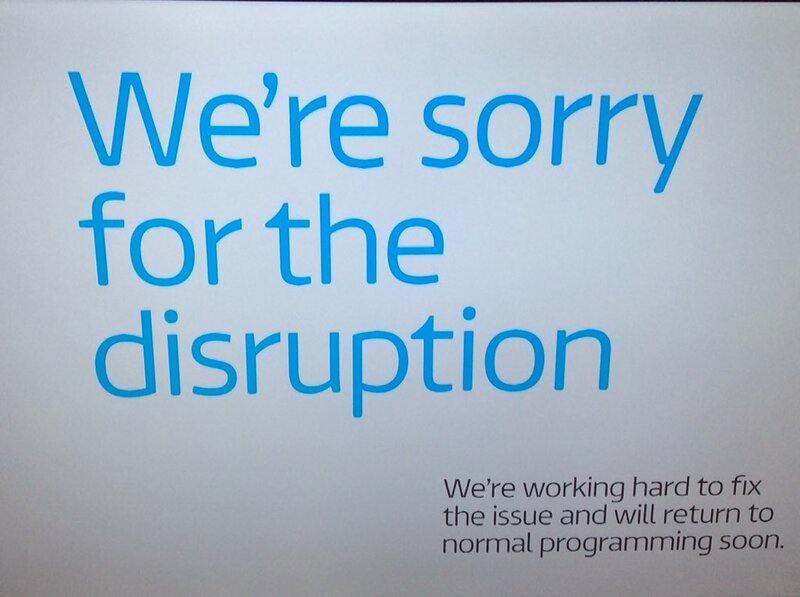 A message displayed: “We’re sorry for the disruption – We’re working hard to fix the issue and will return to normal programming soon” was displayed on the screen. 10 minutes later, it was announced that clips from the auditions would be shown instead. Eventually, host Declan Donnelly returned to say that weather issues in London had caused the mishap, and the show returned as normal. Well, for now at least! OK, it was only 10 minutes, but it felt like a lifetime!